When We Were the Kennedys author on elements of literary memoir, especially structure, scene, voice & wider awareness. 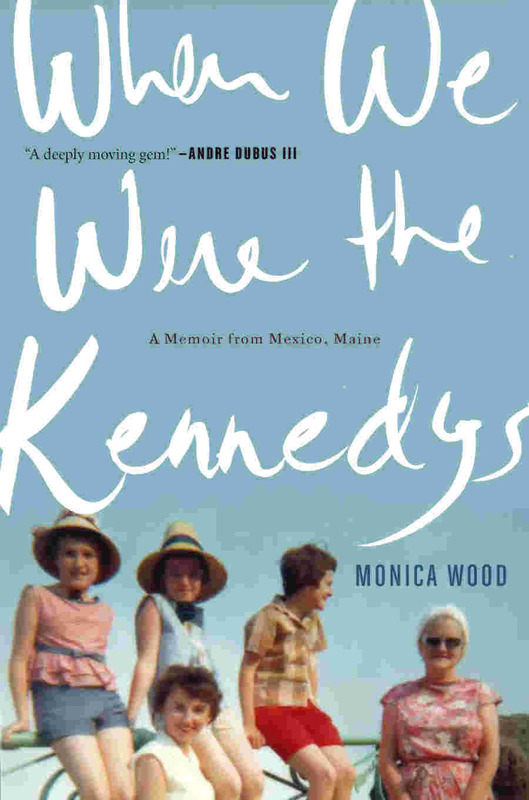 Recently I reviewed here Monica Wood’s When We Were the Kennedys: A Memoir from Mexico, Maine. Afterwards, she agreed to answer some questions for Draft No. 4. I teach memoir writing now, and I don’t think I’ll ever go back to teaching fiction. I’ve seen first hand the power of speaking stories aloud, of simply putting on paper the tragic or ordinary or quirky or mundane. I teach in a women’s prison and I see every week how their stories not only make them reflect on who they are, but how their stories connect them to one another in a place where human connection can be really risky. I think you’re making the distinction between writing that serves as catharsis for the writer alone, and writing that aspires to speak to the human condition universally. Catharsis is a perfectly valid reason for writing, and I recommend it. But there’s a difference between writing a book and publishing a book. Although the Yardley screed seems awfully mean, I know what he’s getting at. I haven’t read the memoir in question, so I offer no opinion on Epilogue, but I have read a few memoirs by both young and older writers that make too little effort to look OUTWARD. Good stories—fiction or nonfiction—allow us to look both inside and outside ourselves, allow us to connect to human experience at large. Older writers do this more naturally, perhaps, simply because they’ve lived longer and had more experience with the universal. But young writers can also do that (Dave Eggers’s first memoir laid me flat). All I can honestly say on this subject is that the memoirs I like tell a personal story in the largest possible context. The memoirs that bore me read like “a series of unfortunate events” with no shape, little insight, and not much effort to reach beyond the deeply personal. And, of course, the writing has to be good to keep me engaged. Sometimes the writing alone can hook me in a story I’m not especially interested in. Q: Related to the above question, I have been thinking about a paradox. In teaching my “Writing Life Stories” class to upper-level college students, after I show them some great essays, underscore technique, and they write (and rewrite), many students produce artful memoirs. Most of these kids aren’t English majors. They might struggle to write a decent short story, and most wouldn’t want to try, but they get the artistic dimension of personal nonfiction. In your teaching, have you found this to be true as well? What techniques of writing memoir do you emphasize? When teaching the art of memoir writing I often focus on two elements: story structure, scene, and the management of time/event. And narrative voice. That’s a big one and so, so, so hard to teach. It’s important to bring the reader into the world of the story by choosing the right narrative voice, which is a fancy way of describing word choice, syntax, verb tenses. And it’s also difficult, if you’re writing a childhood memoir, to get the right balance of old-young. You want the reader to experience the childhood event, but not be limited to a child’s perception/vocabulary. So I went with a high/low hybrid, i.e., a child’s sensibility in an adult’s vocabulary. One example: “The Vaillancourts were catless but otherwise without flaw.” That’s a kid’s observation, but rendered in an adult’s knowing voice. There are three layers to this sentence: the kid’s innocent perception, the dispassionate writer’s wryness, and the adult child’s warm memory. Q: What challenged you in shifting from fiction to nonfiction in writing When We Were the Kennedys? Did the learning curve apply—that is, even things you’d mastered were harder? I’m especially interested in how you worked out your storyteller’s persona, which fiction writers tend to call voice. Yes, that was a challenge, one I welcomed. I love nothing more than a narrative problem to solve. I wrote an entire draft, 300 pages, in a past tense, journalistic, essayish voice, which didn’t work at all. Not until I started applying fiction techniques (scene structure, dialogue, etc.) did the story begin to feel real. And I must add here that I did not make up anything. No composite characters, no altered chronology. The shape came from what I left out, mainly. 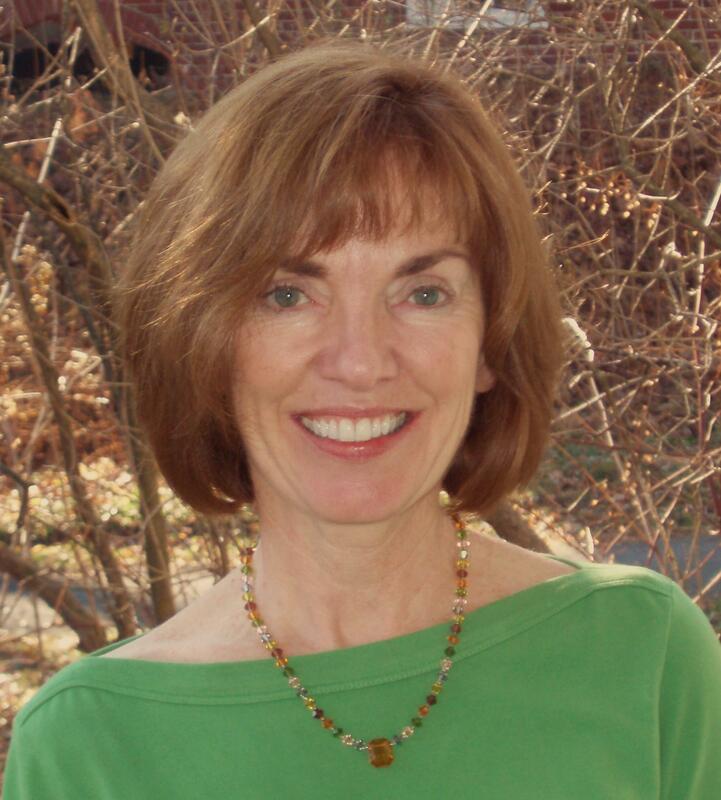 Q: My wife and I were fascinated by your depiction of the impact of the Kennedy assassination on your own Irish Catholic family, and especially on your mother. For those of us in your generation, time stopped that weekend. Your memoir rekindled the national trauma for us and made us realize how personal responses to it were. Was this event’s ripple effect in your life a major thread from the beginning or did the parallels grow in writing? The parallels did grow, in the exact way that “theme” appears very late in the writing of a book. At first all you do is write and remember. Then you discover the recurring motifs, the big moments, the controlling metaphors that make a story more than itself. For me, the assassination was one (the sudden death of a father figure) but the really big one was the paper mill; in fact, I call it “my first metaphor” in the book. An omnipotent, ever-present entity that had the power to give and take. Q: You’ve recently added another genre to your oeuvre with the production of Papermaker, cast in Maine and New York and performed in Portland this past spring. It’s set during a strike at the town’s paper mill, and described on the theatre’s web site as a “revealing drama about family, loyalty, and the quiet tragedies of mill-town life,”which sounds a lot like your memoir! How did your writing a play come about? The premise of the play came from an earlier book of mine called Ernie’s Ark, then diverged quite a bit once I began writing scenes. I LOVED writing drama. I’ve always been a theatergoer and I’ve always wanted to try writing a play. This one came so naturally, and I loved the challenge of telling a full, rich story with only one tool: dialogue. It was both confining and liberating at the same time, hard to describe. The collaboration with actors and a director was the best part of the whole experience. After typing in a room for 20 years I was ready for it. Richard, your interview is such a treat since I’m smack in the middle of When We Were the Kennedys and loving it. I’ve slowed my reading to a crawl because I’m enjoying it so much. I’m not even finished, and I know it’s a book I’ll read again and again to catch whatever I missed. Thanks again for the recommendation. And the interview. Thank you, Darrelyn. I am so glad you are enjoying the book. I found it such a delight. Just perfect, her sentences, observations, tone. Good to hear from you, Susan. Thanks for the great link. Super interesting take on the genre. Thank you for your post, Richard. Your questions are apt, and your chosen interviewee excellent at answering them in an intelligent and thoughtful way. I like memoir best when it’s as she describes, using some of the techniques I’m familiar with from fiction, but focusing on “real life.” As as one of your other commenters notes, it’s not the same as writing one of those sad tell-all books about the family. That just seems like a lot more of getting your own back than anything else. How true, Victoria. The tell-all is one of the hardest things to pull off. At least in literary terms. That may be why the genre places so much emphasis on the wiser retrospective narrator. Learning of badness and suffering without a survivor’s perspective and distance can be oppressive. Great interview, Richard. And I agree, Monica — we absolutely have to find the universal chord in memoir to make it relevant to others. How to best illuminate the human condition was something I gave a good deal of thought to while working on a memoir these past few years. Grief is a thread in everyone’s life … but bringing the experience into the light of awareness for readers is truly the point. Never ever easy, is it? So well said, Daisy. Grief IS a thread in everyone’s life, at least every adult’s. Yet learning how to write about it for others, finding whatever perspective and balance, is a challenge.